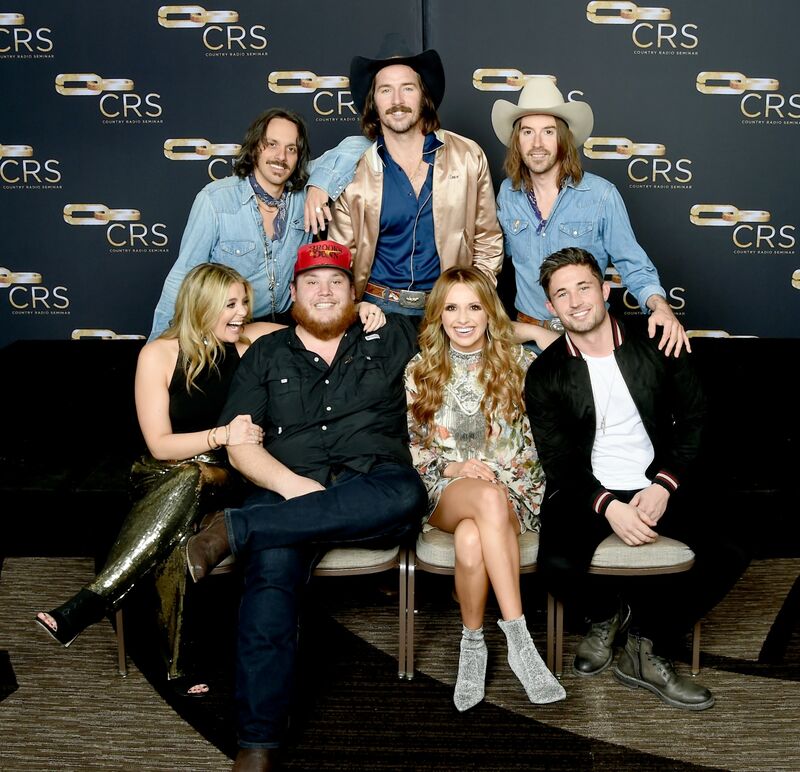 Nashville’s Country Radio Seminar (CRS) 2018 closed with a sold-out New Faces of Country Music Concert at the Omni Hotel’s Broadway Ballroom on Wednesday (Feb. 7). And if the everyone inside took a shot for every time a performer thanked country radio for playing their music and changing their lives, they’d be drunker than a bachelorette party honky-tonking on Lower Broadway. Part live thank you note and part awards show, the annual event is always one of the most anticipated CRS events with performances by rising artists who were voted on by country radio professionals from around the world as the format’s stars of tomorrow. The 2018 headliners were Lauren Alaina, Luke Combs, Midland, Carly Pearce and Michael Ray. Between performances, the 2018 CRS/Country Aircheck Awards were presented, recognizing top country radio professionals and stations of the year. Alaina and Pearce each stole the show, delivering the night’s most moving performances. Pearce kicked things off, delivering four songs from her debut album Every Little Thing. She stomped out imaginary footlights while singing her sultry new single, “Hide the Wine,” and gave a soul-baring performance of the No. 1 title hit. A video before Alaina’s performance showed the crowd of industry professionals the powerful impact of supporting women musicians. In one scene, Alaina was live onstage sharing the spotlight with a little girl singing all the words to her first No. 1 “Road Less Traveled.” In another scene, Alaina’s hugging throngs of adoring female fans who will love her no matter what. Then there were clips of her singing in front of a packed audience at Colorado’s famed Red Rocks Amphitheatre.